These lolli’s are a special order item at a minimum quantity of 250 units, but never in summer, as they melt in transit. Count on them being in stock from December-March. Earn 200 Points when you purchase this item! 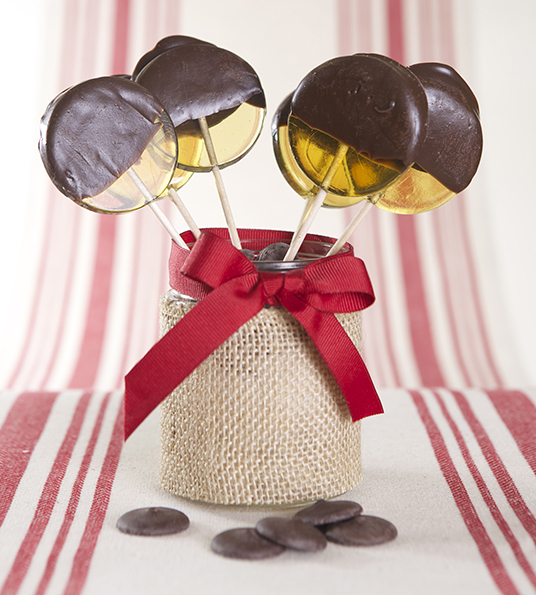 Dark Chocolate Dipped Honey Lollipops by the box of 50. 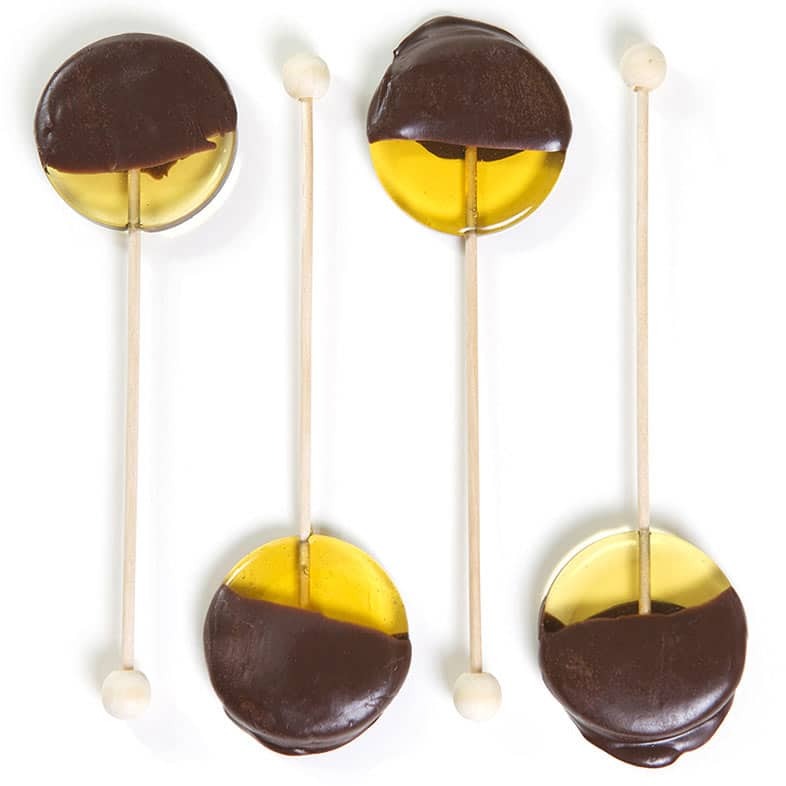 Our dark chocolate dipped honey lollipops are a gourmet treat. You can use them to make hot chocolate! They make a great gift and are only available for a limited time. Try them you will like them. Ingredients: Honey Lollipops: Pure Cane Sugar, Corn Syrup (not the high fructose kind), Canola Oil, Waxing Kara Honey, Natural Flavoring, Natural Coloring, Soy Lecithin. Dark Chocolate Coating: Sugar, Palm Kernel Oil and Hydrogenated Palm Kernel Oil, Cocoa Powder (processed with alkali), Soy Lecithin, Reduced Mineral Whey Powder and Salt.